There’s been a lot of speculation as to who will headline the Download Festival next year, with bands like Guns N’ Roses and Metallica being among the favorites. Now Download Festival boss Andy Copping has announced the headliners for each of the three nights, and even though none of the two previously mentioned bands appear to be involved, it is certainly an interesting mix of bands that will take the stage at Donington next year. System of a Down will be headlining the Friday night show, returning to top the bill for the third time. The second night will be capped off by Scottish rockers Biffy Clyro who are making their Download headlining debut. 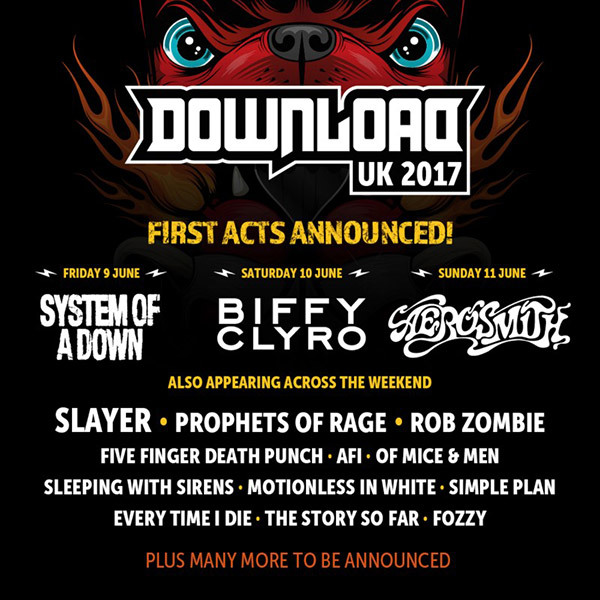 The 2017 iteration of the Download Festival is set to take place on June 9, 10, and 11.